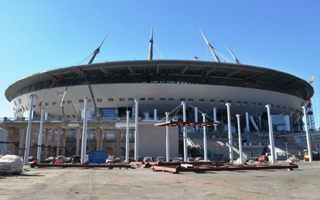 It’s the first such verdict regarding Zenit Arena, but might not be the last since the stadium has been subject to accusations of corruption numerous times. Regional Court of Saint Petersburg has ruled that Staryi Gorod, subcontractor responsible for piling, has artificially inflated the price. Scale is almost shocking as the company supposedly demanded over 50% more money for the work than it was actually worth. According to the ruling Staryi Gorod is now forced to return RUB 570 million ($8.7 million). Zenit Arena is by far the most expensive stadium ever to be built in Russia, estimated to consume RUB 38 billion before it’s operational in 2017. Before the collapse of Russian economy, this represented in excess of $1 billion, but now is valued at $582 million due to the ruble’s devaluation.